Recently I was lucky enough to travel to Venice although this was a trip of a different sort, one made from the comfort of my favorite spot in the family room. I invited Katharine Hepburn and Rossano Brazzi to take me on a trip and they did...to 1950's Italy. The journey was not a smooth one. Katharine Hepburn plays a woman who travels alone to Venice and seems to revel in being alone. Well, not really. That is very heavy sarcasm on my part because she is actually a very lonely woman. So lonely, in fact, that I found myself frustrated with her when she sat alone soaking up the sights in some of the most beautiful parts of the city of Venice because she was unable to accept friendly overtures. Despite this frustration, I did enjoy my journey and peek into Venice, Italy. This page will give you a short review of the movie by both myself, other viewers and expert reviewers as well as more information about the movie including the movie trailer, which will give you a quick peek into the movie. Whether you decide to pack your bags and head out or to be an armchair traveller and grab some popcorn and a favorite beverage like I did, I am sure you will enjoy Venice in the Summertime. "An American spinster's dream of romance finally becomes a bittersweet reality when she meets a handsome Italian man while vacationing in Venice. Katharine Hepburn's sensitive portrayal of the lonely heroine and Jack Hildyard's glorious Technicolor photography make Summertime an endearing and visually enchanting film." Summertime is a love story AND a 1950's Venetian travel film in one. Katharine Hepburn plays a spinster named Jane who arrives in Venice alone but determined to see the sights and have a good time. She is organized and definitely has a focused plan. 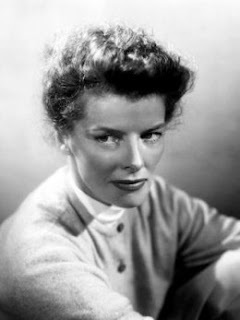 "Sometimes I think a schedule in Venice is just, well, all wrong," a tourist tells Katharine Hepburn near the beginning of the movie. By the end of the movie, Jane gives up on her perfect idea of romance and falling in love. Shall I just say that this movie is made at a time when the sexual revolution had not happened yet, when America was not a free-loving country. Jane is outraged at the idea of illicit love and fearful of sharing her heart with anyone. Take the love story in Summertime and add a strong dose of Venetian architecture, art, conversation, music, food and you have an interesting trip to Venice from the comfort of your own living room. 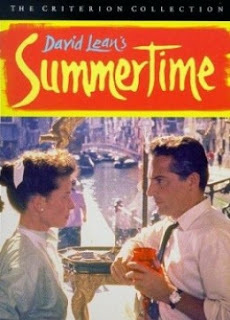 In 1955, the New York Times said, "The beautiful city of Venice, with its ancient buildings, its winding canals, its mingling of vivid sounds and colors and its bewitchingly romantic air comes off the principal performer in David Lean's and Ilya Lopert's "Summertime." Rotten Tomatoes says, "Lean's lushly photographed classic about an old maid (Hepburn) who falls in love for the first time while visiting Venice. American tourist Jane Hudson's lack of romantic experience makes her insatiably vulnerable to the lush beauty of Italy..."
Nick's Flick Picks said "In my lifetime of commitment to Katharine Hepburn, her starring role in Summertime remains the great riddle: I can't decide how I feel about it, and it has the odd double-effect of seeming incongruous to her star narrative, maybe even resistant to her abilities, while also illuminating more about Hepburn as actor and woman than anything else she's done, possibly excepting Little Women..."
Finally, this Amazon Customer five-star review sums up EXACTLY how I feel about Summertime: "Summertime pairs Hepburn with Italian hunk Rossano Brazzi in a delicious, sad, funny and ultimately very adult film about a Plain Jane who finds romance in Venice." Will you be visiting Venice soon? A Passage To India Movie Review. 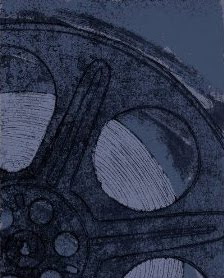 Period Drama movies on Pinterest. Please note this post was originally written in 2010 and posted on another website.